Have you thought about how your financial position will be, when you retire? If your answer is “No”, you are a minority as 76% percent of all Indians have proper financial plans in place, one of the highest in the world. According to the recent survey released by HSBC – The Future of Retirement: The power of planning – Indians are one of the better prepared citizens in the world when it comes to retirement planning. ?33% of Indian respondents see retirement as a whole new chapter of life as well as a time for rest and relaxation. Only 22% associate it with financial hardships. 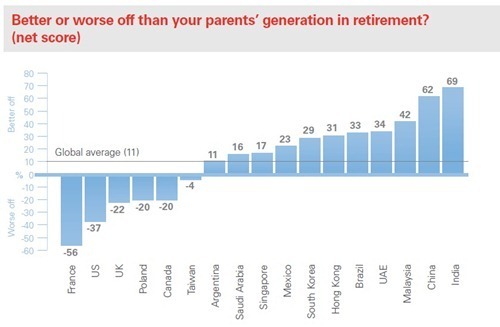 Over 69% Indians, highest in the world, believe they will be better off than their parents’ generation in retirement, conversely, 56% of French and 37% of Americans feel that they will be worse-off than their parents. 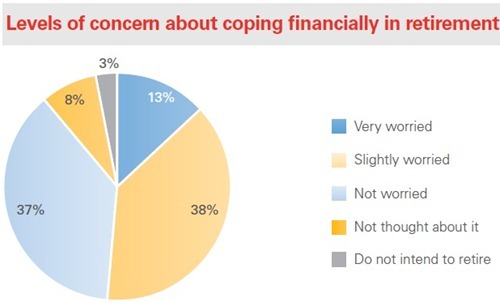 Only 13% of Indians are very worried about their retirement, whereas 37% of Indians are not worried at all about their their retirement financial situation. While 8% of Indians have not even though about retirement, and 3% don’t intend to retire at all! 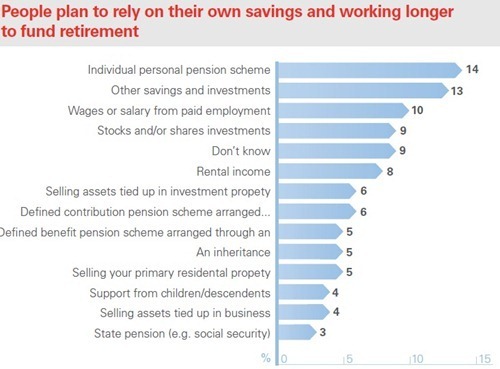 14% of Indians think that their personal pensions will provide their largest source of retirement income, while 13% will rely on other forms of saving and investments. ? ?One in ten people in India expect to continue working in later life to provide an income for themselves. ?76% of respondents have financial plans in place – far more than the worldwide average of 50% – while 57% of Indians have also sought professional financial advice.
? ?The internet is increasingly becoming a prominent source of financial information and advice for people in India, with 50% of respondents using official financial websites to guide their decision making ? ?Independent financial advisers (33%) and banks (21%) are the most common sources of professional financial advice in India.
? ?So, how are you placed in terms of your retirement ? Financial planning for retirement is important requirement. with increasing life, and increasing health risks, it becomes more essential for proper planning of retirement. This report is superficial. 1000 respondents representing 1.3 Billion people! Where were the respondents from – metro cities/ A-class/ B-class? What was their age group? What is their income level? What is their education level? Too many questions are unanswered. I doubt many have decent health/ life insurance or worthwhile savings/ investments. The amount of 7.67lakhs is mentioned in the report but is it all the savings or annual savings? If its the former, its not enough. It cannot be latter for a middle class family. So, sorry the report is not very convincing to me. It is not only this report, but every report that come out need to be taken with a pinch of salt. I have never agreed that one can come up with perfect figures with just fraction of population, unless they get right demographics of people living in India. Developed countries like US mentioned in the article has ‘social security’ at time of retirement, not sure how did they mention it will be worse than parents??. Interestingly, India does not provide decent social security for retired people, not sure how the survey they claims that indian are better planned for retirement. To add a point further, most of Indian below age of 40, have some kind of loan (like Home, Auto, etc) running for years, not sure as how one can claim to be better planned for retirement, this was not the case of previous generation who had rarely opted for any loan. May be its to do with the age profile of the respondents.. While for India, its predominantly the young population for whom retirement is too far into the future to bother about and the current environment is optimistic. One the extreme, the French and American population are already ageing and staring directly into the retirement with the info that their trusted retirement fund has vanished its assets in the 2009 financial meltdown.